The iPhone 6s and iPhone 6s Plus brought a lot of interesting new features as Apple had one of its best years yet as far as its iOS devices are concerned. One of the features that has rightfully received the most attention is 3D Touch, Apple’s pressure-sensitive touch screen technology that comes with every iPhone 6s model and which also paved the way for entirely new experiences in iOS 9. This post will attempt to cover virtually everything about 3D Touch including basic stuff like how to adjust its settings and more in-depth looks at available apps, jailbreak tweaks and more. In essence, what 3D Touch does is add pressure-sensitive actions to your touch screen. Until now, users just tapped on an icon, button or option and that tap had a very specific result tied to it. For instance, tapping on the Mail app serves to open it and nothing else. With 3D Touch, the pressure you apply onto that tap makes a world of difference. For instance, a light tap would indicate that you want to open the app while a slightly heavier one would prompt your iPhone to bring up additional actions such as transferring you to the “new email” section immediately. Apart from the basic pressure-sensitive controls, 3D Touch also allows for two additional features called “Peek” and “Pop”. As its name suggests, Peek allows users to preview content without having to actually open apps. So if you get an email, you can preview the message without having to go to the Mail app. Pop, on the other hand, is what happens when you press your fingers slightly harder so that you can “pop” messages, notifications and icons into the actual apps. 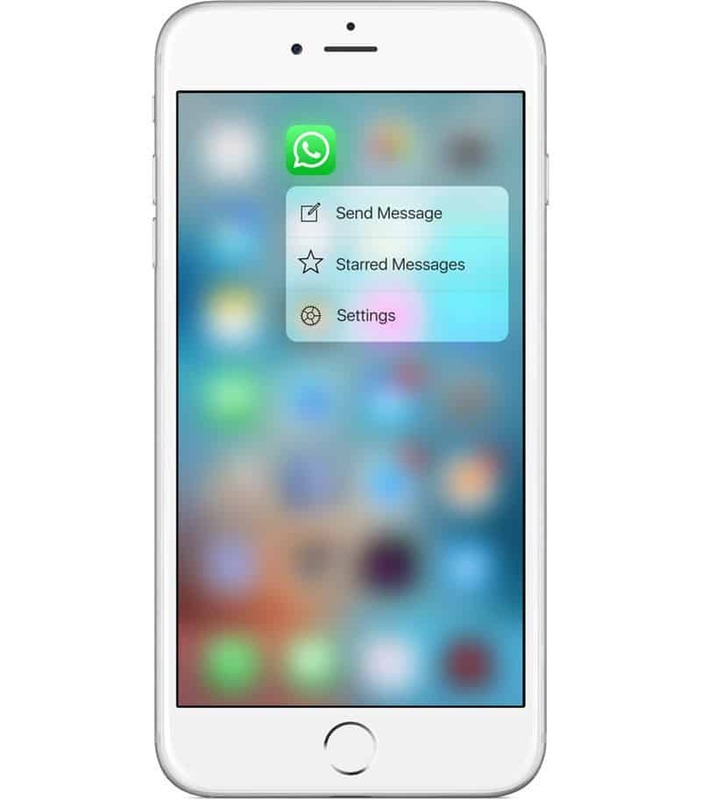 The 3D Touch technology as a concept is somewhat difficult to explain to those who have never seen it in action. Anyone who is remotely interested in 3D Touch should watch Apple’s own demo below or a related video to really understand how the feature works. As with any new feature that fundamentally changes the way you use a smartphone, users may be a bit confused as to where exactly they can use 3D Touch in their iPhones. I am sure you can already understand that Apple’s own apps have all been updated with support for 3D Touch and each of them has a specific action associated with the feature that you will discover over time. And aside from the apps themselves, the latest iPhones have plenty of new interactions that are all powered by 3D Touch too. For instance, Safari Tabs can be previewed with Peek while messages can also be read with the same utility without triggering the “read” status which may well lead to even more anxiety and stress in teenage boys and girls who constantly check message threads for replies. And when they are ready to reply, a Peek into any contact info menu allows users to place calls and send both emails and text messages with a few taps. This can also be done by pressing firmly on a contact picture found inside any supported app such as Messages, Mail and Contacts. 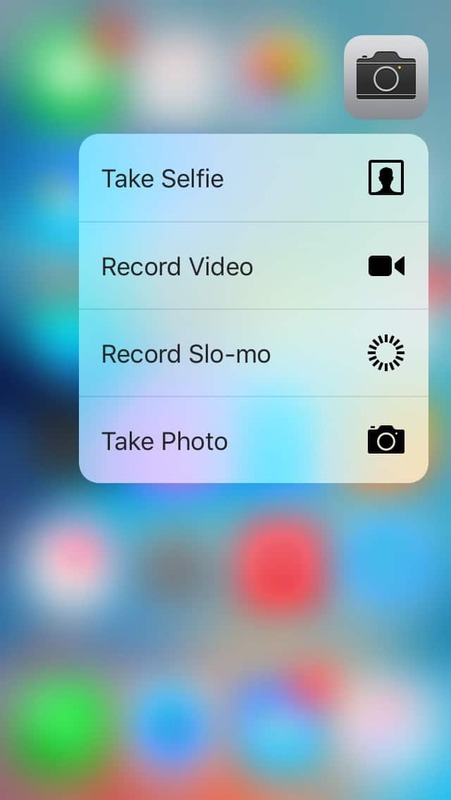 Apple’s own apps are not the only ones that take advantage of 3D Touch, of course. In fact, there is already a decent collection of third-party apps that offer support for 3D Touch too. The list is a bit limited right now but a lot of popular apps like Twitter, Dropbox and WhatsApp have already been updated with 3D Touch. Alexandra has a great list of 11 popular apps that support 3D Touch that also describes what you can do with the feature in each of them. I honestly suggest taking a look at the list because even if you do not use any of those apps, it will give you a glimpse of what third-party apps can do with the feature once more developers are ready to support it. As per usual, apps that have been or will be updated to support 3D Touch can easily be found in the App Store with the appropriate keywords. A lot of developers are eager to tap into the new technology now that most people are interested in it and Apple has made it fairly easy for them to produce 3D Touch apps. The stringent guidelines of Apple will serve the development of 3D Touch apps well as developers are instructed and guided into the ins and outs of the official capabilities of the new technology. I will be the first to admit that 3D Touch takes quite some time to get used to, especially if you are not so keen on re-learning how to use your iPhone. With that said, however, I would not recommend disabling the feature and instead suggest that you take the time to become familiar with it. Of course, everyone has their own reasons for not liking 3D Touch or not being able to use it so Apple lets you disable it with ease. Just open the Settings and go to General > Accessibility > 3D Touch and turn the toggle off. The sensitivity settings can be found further below in the same screen. Apple gives you a choice between light, medium and firm amounts of pressure for 3D Touch and what you select is entirely up to you. The 3D Touch sensitivity test field below will let you check exactly how much pressure is needed to use the feature and all of its own utilities such as Peek and Pop so spend some time with it to make sure that everything works in sync with your preferences. As for the zooming controls, users will have to enable certain other settings before applying 3D Touch to their magnifying/shrinking their screen. More precisely, head over to the Zoom section of the Accessibility menu and enable the “Zoom” and “Show Controller” toggles. This will allow you to use the iOS Zoom Controller which works perfectly with 3D Touch as managing the zoom levels becomes an intuitive process. The overlay of the Zoom Controller can be a tad annoying so make sure to reduce its idle visibility before heading out of the menu. With iOS 9, Apple introduced a feature called “easy text selection” that allowed iPad users to slide two of their fingers on the screen in order to turn the keyboard into a basic trackpad and make it easier for them to select snippets of text. With 3D Touch, users can enable a similar mode that offers yet another way of selecting text in your screen. The software trackpad mode can be activated by simply pressing hard on your keyboard. After that, the best way to use the text selection features is to relieve some of the pressure in your finger and then move your cursor around to select text. Once you are ready, pressing harder will let you select your desired piece of text with ease. Every time that Apple releases a new feature exclusively on the latest iPhones, jailbreakers do their duty and bring at least part of the new experiences onto older devices. Now, 3D Touch is a feature that actually needs special hardware in order to operate at its best as the pressure-sensitive screen of the iPhone 6s and iPhone 6s Plus will confirm for you. However, jailbreak developers have already brought similar functions to previous iPhone models though their performance varies and is fundamentally different than what you would find in the newest iPhones. Forcy: Possibly your best option, Forcy has been described as the best 3D Touch emulator because of how well it performs. Interestingly enough, Forcy’s original version lacked the features and elegance that have made it so popular right now including a settings panel that lets users enable haptic feedback and a swap invoke method that is very similar to true 3D Touch. RevealMenu: Another great tweak that features 3D Touch-like shortcut controls. RevealMenu will let you long-press on app icons and then swipe your finger to their pop-up actions without lifting it. So, for example, you can long-press on the Safari icon and then move your finger slightly up in order to open a new tab, a process which makes the tweak feel a lot like standard 3D Touch. Force Touch Activator: Though this tweak is not nearly as functional as the previous two, it uses the most interesting method of 3D Touch emulation out of all. Force Touch Activator works by sensing how much of your finger is currently resting on the screen. Detecting the changes means that the tweak understands when you are applying more or less force and is thus capable of delivering actions meant for light or heavy taps accordingly. The tweak is very much worth trying out but you may have to wait for a while before it is viable for everyday usage. 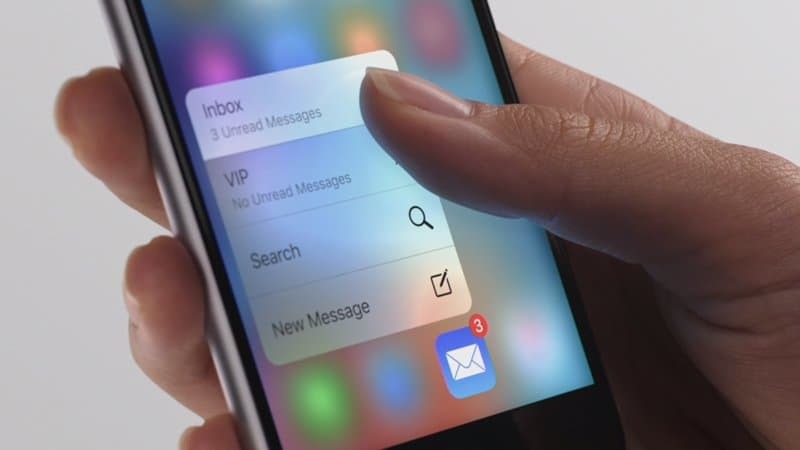 The tech behind 3D Touch can do a lot more things than simply provide another method of accessing shortcuts. Apple, however, cannot take advantage of all the nooks and crannies of the system it has built. One of the guiding principles of Apple is providing a seamless experience across its entire ecosystem, especially in the confines of a single operating system such as iOS. Right now, 3D touch only has a limited number of truly exclusive features as most of the tech is being used to simplify already established actions such as providing quick access to messages. While Apple limits the stock version of iOS to specific uses of 3D Touch, jailbreakers have no such restrictions and in fact wish to squeeze out everything they can out of the new system. There have already been quite a few apps that leverage unique aspects from 3D Touch such as Plum-O-Meter which allows users to weigh small objects by placing them on the iPhone’s screen. This particular tweak shows that 3D Touch is much more sophisticated than it looks like on the surface and the pressure-sensitive screen is capable of further actions than the ones presented on stock iOS. The tweaks I mentioned in the previous section are related to older iPhones but most of the 3D Touch tweaks you will see from here on out will most likely be exclusive to the iPhone 6s and iPhone 6s Plus so that they can take full advantage of 3D Touch and its underlying technology. For instance, the “3D Touch to Clear Notifications” tweak (free on BigBoss) dismisses all notifications when users press firmly on the Notification Center, bringing an Apple Watch-like gesture to the iPhone. The lauded Activator tweak has also been updated to provide full support for 3D Touch so the possibilities are virtually endless for the users that are willing to invest their time into configuring their systems.